Henson Efron, P.A. 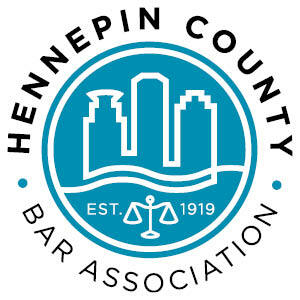 announced that attorney Joseph T. Dixon Jr. will be honored with the 2012 Professionalism Award by the Hennepin County Bar Association (HCBA) on May 24, 2012. As a member of the Hennepin County Bar, Dixon was selected based on his commitment to the highest of professional standards in the legal community. Soon after he started his career with Henson Efron in 1971, Dixon’s character and heart for helping led him to support legal services to the disadvantaged through his involvement on many boards. Dixon served on the board of the Volunteer Lawyers Network (formerly known as the Legal Advice Clinic) for more than 20 years and has participated in the Minnesota State Bar Associations Legal Assistance to the Disadvantaged Committee for the past 25 years. In addition, Dixon has served on numerous statewide task forces and planning committees through the Minnesota Supreme Court. Presented by the HCBA’s Professional Conduct and Professionalism Committee, the Dedication to Professionalism award was established in 1989 with the belief that professionalism fosters respect and trust between lawyers and the public, while serving the best interest of clients and promoting the efficient resolution of disputes to improve the administration of justice.